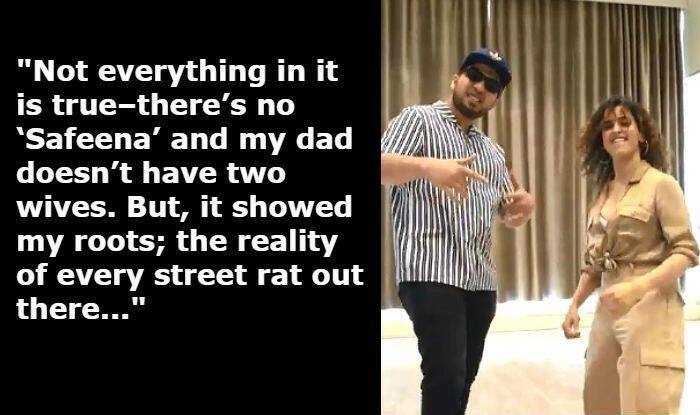 Naezy says that while Zoya Akhtar's Gully Boy was largely factual, neither he had 'Safeena' in his life nor did his father marry twice. He added, “I never let my family see this side of me, but they realised what I was up to. My mom took care of us because my dad was in Dubai. She said the only way I’d improve was if I stayed away from my friends. I changed schools & houses, but the streets never left me. I found my way back, through Hip-Hop. I loved writing, but hadn’t been introduced to ‘rap culture’ before, so I began researching. It was like a fire burned within me! Naezy went on to say, “But who’d give a ‘gully boy’ a break? I decided to wait for nobody & record my first song, ‘Aafat’ on an iPad–it went viral! People loved me! But when my family saw the video–they were furious. They’d never let me pursue rapping as a career–I recieved love & support from everyone except them. It was heartbreaking. Eventually, I got more offers, but kept missing out because of family restrictions. Just when I thought all was lost, I recorded ‘Mere Gully Mein’ & everything changed. That song was what made Zoya Akhtar approach Divine & I for Gully Boy. But not everything in it is true–there’s no ‘Saifeena’ & my dad doesn’t have 2 wives! But it showed the audience my roots; the reality of every street rat out there. Looking back, I can’t believe I’m here!